Open your Third Eye. 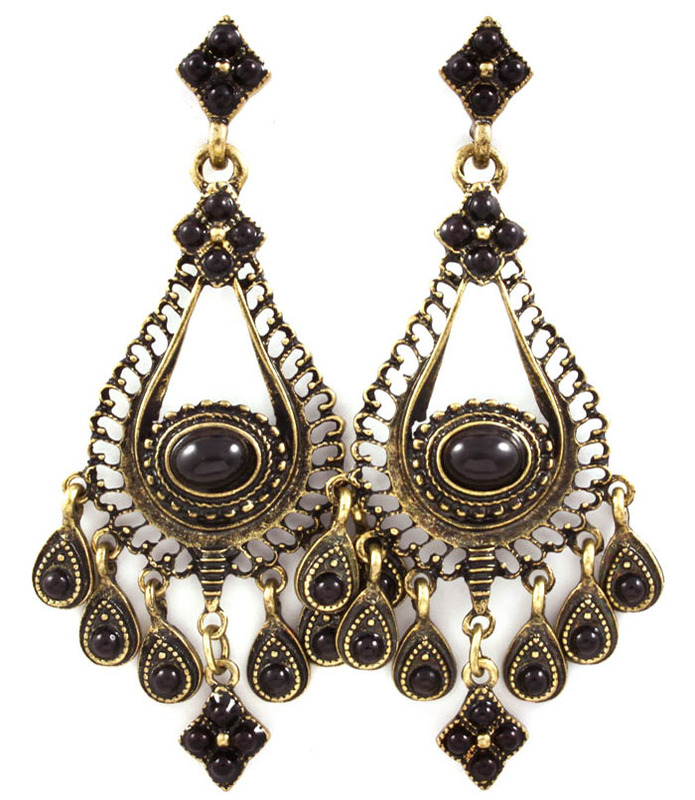 The Kadambari Earrings allude to something esoteric and ancient, taking form in a stud drop decorated with black stone pendants on an intricate antique gold backing with a noir feature cabochon. For the after-hours bohemian. Order these beautiful indian earrings now from Australia's fastest growing online jewellery store.